This entry was posted on Thursday, November 27th, 2014 at 11:55 am and is filed under Curious cattle. You can follow any responses to this entry through the RSS 2.0 feed. You can leave a response, or trackback from your own site. Your bull and other cattle look real nice just being grass feed. I really like the looks of this breed, I am still trying to decide what breed to raise myself, I am not 100% sold on Scottish Highland cattle like I have written about. I don’t think they are suited for the hot humid summers of Iowa. Can you tell me what breed your cattle are? They look like they could be Red Devon or Red Angus. Thanks, Gordon. My cattle are 85% plus Red Angus, on a Shorthorn base, which is why you may see some white or roan. My partnership originally started because my partners were raising Scottish Highland cattle and growth and meat yield was too slow. Scottish Highland are a fine breed if you want to forget about them, but if you want some production, an English breed would be best for grass. 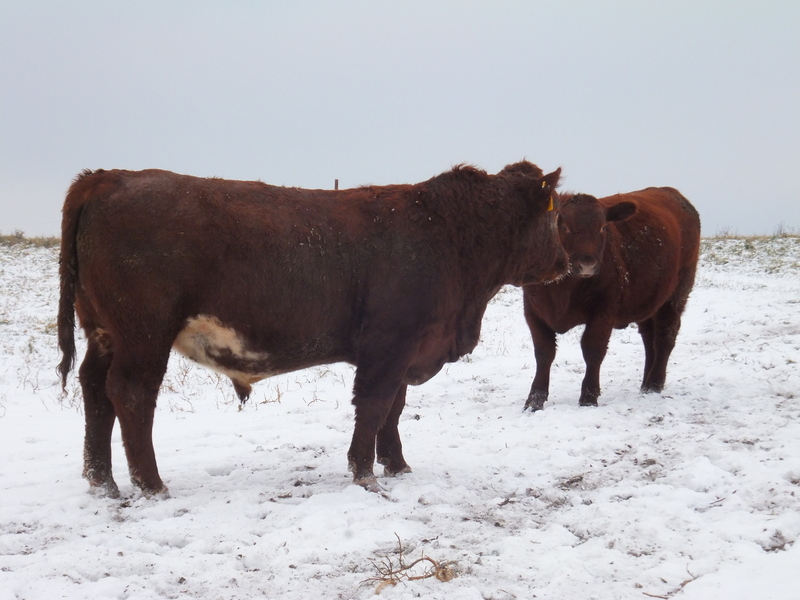 I like Red Angus because it seems the red color does better in the sun and hot summers. Thanks Matthew, I didn’t know the Red Angus do so well on grass alone is that because of the 15% Shorthorn? I would love to have Angus that I could feed on grass and hay alone. I would love to have that bull and cows that look like yours in my herd. Don’t be surprised if I come to see you when I am ready to buy some cattle. I will start out with two calf, cow pairs. Do you ever sale any cattle like that? Gordon, I guess my blog posts are pretty good advertising. Sure, I would sell you some and you are welcome to visit anytime also. 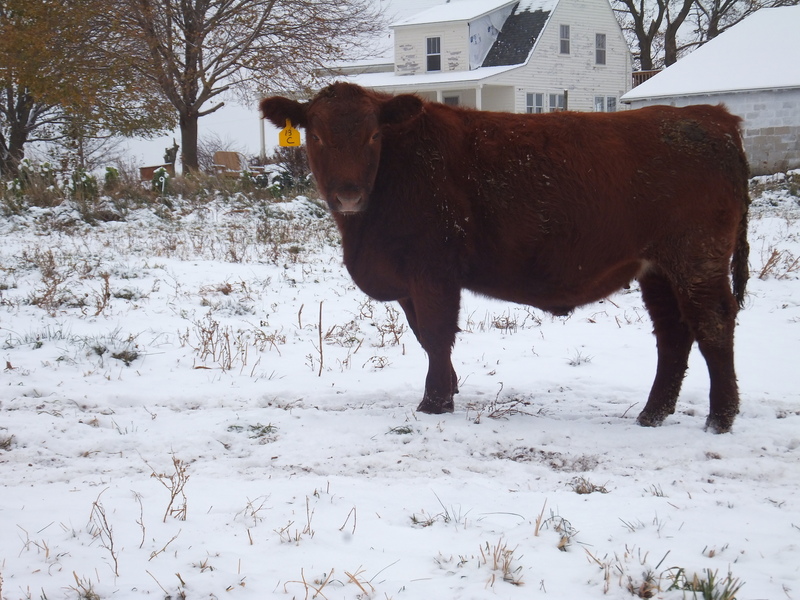 Red Angus is the best breed in my opinion, but you still have to pick within the breed. Shorthorns have pretty much ruined their breed by allowing outside genetics such as Maine-Anjou into the breed. That’s originally why we started using Red Angus, because we couldn’t find good Shorthorn bulls. 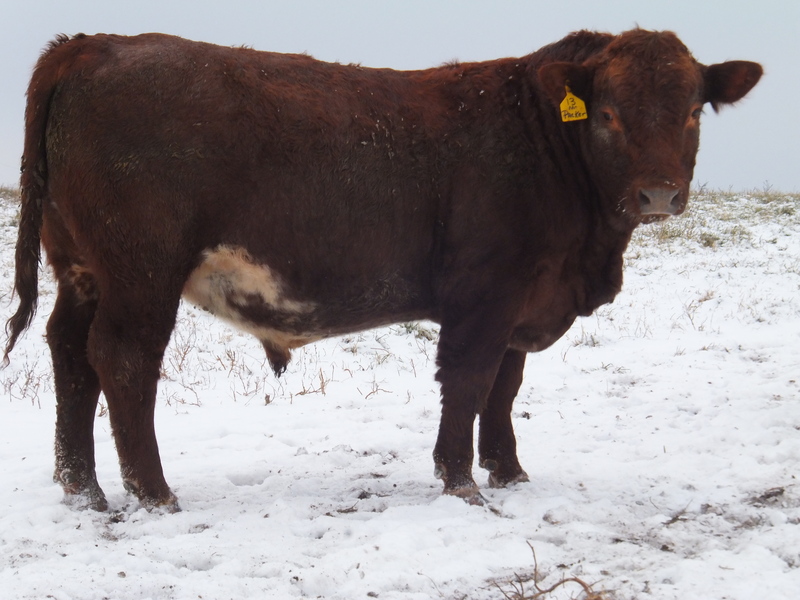 Now I see some people are crossing Shorthorn with Red Angus and calling the resulting cross Red Durham and selling that. It’s just marketing, though. Might as well go straight to Red Angus in my opinion. I like the look of the steer in photo 2. He’s going to finish out nicely. Thanks, Brent! Always like the look of your Salers as well.